Tomb Raider Slots 1 and 2 | Which Ones Gives Better Odds? The famous Lara Croft is back now. The second edition of Tomb Raider online slots machine from Microgaming will definitely take your online gambling experience to the next level. There are 5 reels and 30 win-lines packed with adventures. The best part of this video slot game is the fact that there are numerous animations available and at the same time you can also find plenty of winning opportunities. 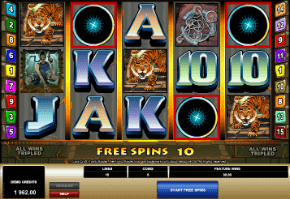 The original slot, launched in 2004 was one for the first branded slots. It still remains one of the best movie based slots, sharing the top spots with Gladiator and Jurassic Park. The main character of Tomb Raider slot is obviously Lara Croft. Along with her, you will be taken on an adventure based on the popular video game and movie. The main objective of the game is to trigger the bonus round, there you have to start getting different fragments from the lost sword together and this way you can trigger the big payout. There are 2 versions of Tomb Raider slots. Lara Croft: Tomb Raider™, launched in 2004, was the first branded slot online. The Secret of The Sword, which is the newer version, was launched in 2008 after the huge success of the original one. As you can see on the screenshots above, the graphics of Tomb Raider 2 slot are more up-to-date and it offers a brand new set of bonus features. In terms of payouts (RTP), The Secret of The Sword has a small advantage with an RTP of 96% vs. 95.22% of the first version. There are three main bonus features available while playing this video slot game. There are 2 free spins round and a 2nd screen bonus round. 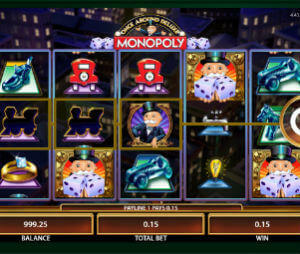 The first free spins round is going to get activated as soon as you’re getting 3 or more scatters on any of the reels. When this happens you will be able to receive 10 free spins and a multiplier that is situated between 2x and 5x. The second free spins round is going to provide you with only 5 free spins, but in order to keep things exciting there is a much higher number of wilds on the reels. The final bonus round available for the Tomb Raider Secret of the Sword is called the Global Adventure Bonus. This bonus round is triggered when you get at least 3 bonus symbols on an active pay-line and you will be heading towards an adventure with Lara Croft in the quest for finding the missing parts of the Hidden Sword. There are many traps you have to avoid and since this is a pick’em bonus round it won’t be difficult to play it. In the end, based on how much you’ve achieved, you can be left out with a significant payout. It won’t be long before you start loving this video slot game and there are many reasons to do that.